Fully furnished and updated 2 bedroom condo with exciting upper floor oceanfront views. Watch launches, see cruise ships leaving the Port, view beautiful sunrises. Walk to Jetty Park. 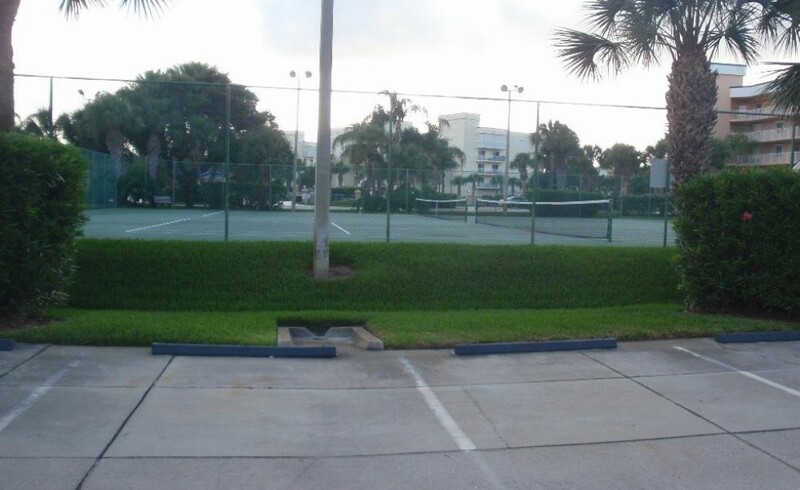 Amenities in this gated community allow you to enjoy the fully equipped exercise room and party in the recreation room with a full kitchen, swim in the over-sized heated pool or play tennis at your leisure. Most basic nonperishable items provided in unit. Handicap and baby/ children and small dog friendly. Great place for an extended Disney vacation experience. $ Terms subject to credit approval; cancellation policy; deposit required; cleaning fee may apply; Garage parking available [separate rate]; beach equipment available upon request; handicap and infant, child products available upon request. 30 Day minimum rental only.